Notice! Eftalia Marin Resort does not accept reservations at this time. Please try again later. Eftalia Marin Resort Contact. Eftalia Marin Resort is located in Konaklı/Alanya, There are 491 rooms on the 39.500 m² area., 12 km from Ulas Beach and Picnic Area. This 5-star hotel offers free WiFi. It features a swimming pool and water park. At the hotel, each room has a wardrobe and a TV. Every room comes with a balcony. A buffet breakfast can be enjoyed in the breakfast area. For any tips on how to get around or what to do in the area, guests can ask at the reception. 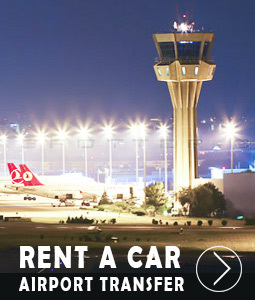 The nearest airport is Gazipasa Airport, 59 km from Eftalia Marin. A short walk to the sea is found at the entrance to the basin of the tasisten plaja. Daring guests add new experiences to the holidays with a choice of Thalasso pool, salt room, sauna, Turkish bath, massage rooms, Bali pavillions, surf, banana, jet ski, catamaran, parasailing, sea bike and canoe. Eftalia Marin Resort accepts VISA and reserves the right to temporarily hold an amount prior to arrival. Eftalia Marin Resort accepts Master Card and reserves the right to temporarily hold an amount prior to arrival. Eftalia Marin Resort accepts Maestro and reserves the right to temporarily hold an amount prior to arrival. Eftalia Marin Resort accepts Bank card and reserves the right to temporarily hold an amount prior to arrival. Eftalia Marin Resort accepts ATM card and reserves the right to temporarily hold an amount prior to arrival. Free buffet meals in the morning, lunch and dinner. Some domestic and foreign alcoholic and non-alcoholic beverages are free of charge 24 hours. The minibar is refreshed daily with cola, soft drinks and water. Turkish coffee, cocktails and freshly squeezed fruit juices are paid. The A la carte restaurant is a minimum of 7 nights and is booked 1 day in advance and is free of charge. All Inclusive guests can use the Eftalia Island concept, which serves as a public beach area for these five facilities, with Eftalia Ocean, Eftalia Village and Eftalia Splash and Ultra All Inclusive Eftalia Aqua and Eftalia Marin Resort. The entrance to the Eftalia Marin Resort rooms starts at 14.00. The departure time from the rooms is no later than 12.00. Tesise pet is not accepted. The use of outdoor open spaces is subject to seasonal conditions. Good hotel with very large family rooms available, clean and tidy, most rooms have veiw of the sea. Large lounge and reception area. With stairs leading to buffet area, small shopping mall and garden and pools. Access to beach is easy via a under pass. Beach area has great water slides and entertainment with loads of drink and food available. Great place. Average food, when in the main restaurant. Not great burger bar (24 hour restaurant) Chips almost always cold, burgers are a joke. The separate island has a lot to choose from : Fresh pancakes, Southern fried chicken, Fresh waffles, Fresh pizza and a pastry shop. All of the island food is pretty good. Drinks are a little restricted, just standard alcohol on tap: White rum, vodka, Rakki, Gin. No cocktails. - - Ice tea on tap, lovely. Beautiful hotel, room service and eftalia island was a bonus! Loved the chicken wings and choc waffles at the island. Plenty of slides for adults and children. Good food, overall. Location is a little out of the way. No bars and clubs around. Plenty of shops when u ecit the hotel and turn right. Taxis rip off, use the bus from across road. Highly recommended! Good CUSTOMER service. Excellent holiday had the best time ever! October 2016. Room We stayed in a double bed swim up room, I wouldn't recommend this as the pool is in the shade till around 3pm - 5pm so you're brave if you go in it. You could tell it was the end of the season as the quality in the room was very low. Lock on toilet broken, bathroom flooded when we used the shower and single sheets on a double bed were probably the main problems but we only use the room to sleep in and other than the things above, the room was fine. Food Choice of food is limited and doesn't really change each night. If you have kids who are picky eaters then the kids buffet offers an alternate of bolognaise with rice or with pasta every night, so I hope your kids like bolognaise. A la carte restaurant was a pain as we had to wait 2 days to try get a reservation as you have the people who stand there stupidly early to get in. Good luck finding a clear table too as the waiting staff are definitely understaffed as tables can be cleared quick enough for the demand. Something for the hotel to think about it getting rid of the table cloth too, yeah it's aesthetic but when the tables are cleared, they're not cleaned. We've sat on tables with clean cutlery but there's food and stains still on the table. It's not a nice setting. Staff Can't complain about the staff at all, any reviews that say they're ignorant are completely down to the ignorant reviews as we could clearly see if you didn't appreciate them, why should they appreciate you. Saying thank you in Turkish goes a long way for them as they were shocked to see a tourist actually try speak their language, it shows respect. Only issue is that the house keeping staff are extremely noisy early hours of the morning, they're so friendly but so loud it's a damper in the mornings. Hotel The hotel itself is very well thought out with 24 hour food and drinks (doesn't include cocktails). I would say this is 100% family orientated so unless you're a family, don't expect much peace and quiet. The hotel does need it's improvements but all mainly cosmetic. Overall I would have recommended this hotel to families. However, on my evening I went to a la carte and felt ill immediately after eating there (Grill), I also watched the beach bar staff washing dirty glasses with plain tap water. That night I was ill and didn't sleep. The following morning we had to check out by 12pm and we weren't getting picked up till 9:30pm. We asked the hotel if we could keep the room open or have another room as I was ill to which they said no as "they were full". This then turned out to be a lie as the rep managed to get me a room for 4 hours which I had to pay 20 euros for, where I then had to sit in the lobby for 5 hours. The hotel just did not care about me not being well. They also weren't full as I could go and book a room for the following day for 8 nights. I will be taking this up further with Thomas cook. Ruined the holiday for Me, terrible terrible service! Staff very rude always on the phone, slams drinks on side only half full, no difference in food just chips chips chips, food is left there all day the burgers are black and so overcooked they break in half when picking them up, entertainment was just dancing every night, hotel is in the middle of no where, beach full of stones cant walk without sandles, eftalia island to busy shared between too many places, lots of people pushing into lines and staff dont say anything, slides are the best part but might aswell find a good hotel with a waterpark near, sunbeds get put away at 5 even if you are sat on them! The cleaners just push you on them! Rooms are clean and the room cleaners are very polite and kind, had to leave our rooms at 12pm even though our flight wasnt untill 1:40am, towels never got changed all week! Oh and chips!